I caught the end of one of my favorite movies today as I folded the gazillion loads of clean clothes piled up on my sofa: Ever After. This classic Cinderella story set in medieval France does not just capture my imagination…it makes me want to re-write the plot, particularly the scene where the prince learned that his “Countess” was actually a servant girl. I need more information here, and so did the prince! If Danielle is the daughter of a Countess, she has royal blood, does she not? So why was her stepmother allowed to force her into servitude? These kinds of questions swirl in the back of my head whenever I read a book or watch a movie. My daughter is passionate about writing. In fact, she would write every waking hour if I allowed her to do so. I also have a passion for writing, but in between homeschooling and household duties, I don’t find the time or the energy to do that which makes me feel the most alive. But beginning in January, life is changing for me when my daughter begins attending a university model school. I have mixed feelings about this transition. On the one hand, my fibromyalgia weary body looks forward to less immediate stress as I begin to share the educating load with her new school rather than taking it all on myself. On the other hand, I am grieving. My girl is becoming such an interesting individual, and every moment she spends in the classroom is a moment I don’t get to share. I’m going to miss these days of eating late breakfasts and schooling in PJs. So what will I do with all these non-schooling days? I believe God is calling me to do that which brings me so much joy: write my own story! I don’t yet know what I will write about, but I do have a basic plan, which is more than I had a week ago. My plan is to dive into history to find an event that intrigues me. I pray that Lord will walk with me through this process because I want to bring honor and glory to Him through everything I write. I want — dare I say it? — to be inspired by the Holy Spirit to write whatever will cause Him the most joy. Might my words cause an agnostic believer to think again about the supernatural? Gone With The Wind captured my whole heart. I fell in love with Scarlet, warts and all. I absorbed much history and felt like I was living alongside her during the Civil War. When she ran to get the doctor when Melanie went into labor with cannon fire and gunfire bursting all around…when she stumbled breathless onto the makeshift hospital field where acres and acres of wounded soldiers waited for treatment or death…I was right there with her. I gained an appreciation for hard work. 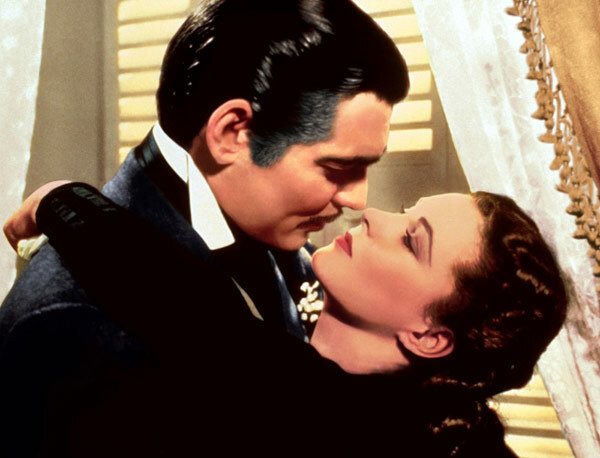 I also saw that God knows best — Scarlett had her love match right in front of her in the dashing form of Rhett Butler, but she threw true love away for the image of what might have been with Ashley. How often do we overlook those gifts and people the Lord has placed right in front of us because we stubbornly hold on to a childish ideal? 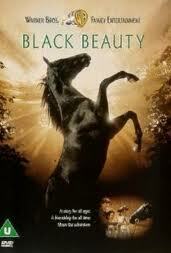 Black Beauty influenced me greatly when I was a child. Although I did not ride a horse until I became an adult, I felt a kinship with all horses just from reading about Black’s story. I cried and raged when he was mistreated and cheered when he finally found a nice home. I absorbed a great a deal of history in this book, as well. People relied on their horses every bit as much, if not more, than we rely on our cars today…but owning a horse had a greater responsibility attached to it than owning a car. We have to fill our cars up and do periodic maintenance. If we skip it, our cars won’t run. If you skip feeding and watering a horse, the consequences are tragic. For awhile I thought I wanted to be a veterinarian after I read about Black Beauty, until I realized I just didn’t have it in me to perform surgery without passing out! But I have retained a great love for all God’s creatures. The Lord of the Rings swept me away into a world of elves and dwarves, men and hobbits, wizards for good, and sorcerers for evil. I fell in love with the joyful hobbit countenance. The books reminded me of a truth unveiled in scripture over and over again: the Lord often uses the least among us to perform heroic deeds. 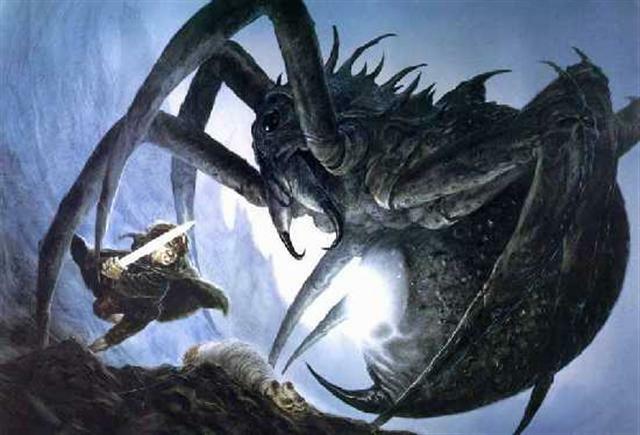 David fighting against Goliath armed with naught but a slingshot is similar to Frodo fighting Shelob or Bilbo fighting Smaug with naught but Sting, the small elvish blade. The smallest and least important — the hobbit — was chosen to do that which no one stronger (men or elves) or wiser (wizards) were able to do. Why? I think the humility of the hobbits is what endeared them to us and enabled them to overcome the compulsion that all stronger people succumbed to. Jesus told us in many parables that God often chooses those the world considers small to shame the wise. There are so many scriptural parallels in Lord of the Rings that I can’t even begin to list them all — and I’ve read the entire set at least four times in my lifetime. Probably soon to be a fifth time, now that I’m thinking about it! And Sam! Sam was the most humble of all, and yet without him, Frodo would never had accomplished his task. I’m thinking about books because if I write one, I want it to be one that inspires and encourages, uplifts and surprises. I want the characters to be flawed and contradictory, loved and hated. I want God’s goodness to shine through the story like a beacon, highlighting truths that Jesus spoke but that our culture dismisses…with enormous themes such as loving your enemy. What does that kind of love look like? What if a secretly Jewish man loved Adolf Hitler, prayed for him, showed him kindness? Love covers all, the Bible tells us. As we move through these last few days before Christmas, I ponder these and other questions as I fold the laundry and wrap presents because I feel the Lord calling me out for a purpose. But for now, all this writing about books has me hungry for one! So I shall enjoy an oatmeal cookie and a few more pages of the book I’m reading. I hope you find some down time in these busy days…time to reflect on your own purpose and on the amazing gift of Christmas — salvation — available to everyone who repents (turns away from) sin and trusts in Jesus, the one whose birth we celebrate in just four short days. Next Next post: Christmas Eve Eve Gift!